Sometimes it’s hard for a band to rebound after their front man leaves. Often he, or she, was not only the ace but the leader and creative core of the band. I thought for sure when I heard in the summer of 1985 that Peter Cetera was leaving Chicago, the band would never recover. Cetera certainly went on to achieve unprecedented solo success on the charts. Much to my surprise, Chicago was not dead and buried, but ended the 1980s with two hit albums and some pretty solid chart success of their own. It was another case of hearing not quite what I expected. This great song came on the radio one afternoon, and I did not recognize the singer. Once the deejay came back, he said it was the latest song by Chicago. I could not believe my ears, but in fact it was true. The song was called, “Will You Still Love Me,” and it came near the end of 1986. It would reach number three on the Billboard Hot 100, Chicago’s first top ten single post-Peter Cetera. They would have one more single do reasonably well off that album: “If She Would Have Been Faithful…” which peaked at number 17. They had a new lead singer to replace Cetera, named Jason Scheff, and with him Chicago sounded more to me like Toto than old Chicago. “Chicago 18” also marked the last time David Foster would produce an album for the band, following the success of “Chicago 16” and “Chicago 17”. The album did reach gold status, but marked a change in Chicago from being a band that sold a lot of albums, to being more of a singles band. 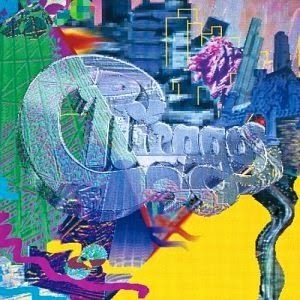 By the time “Chicago 19” was released in 1988, I was not listening to music as keenly as I had been before. I had nowhere near the level of understanding I had before then. The first single, “I Don’t Want to Live Without Your Love”, came out that summer, and I recall hearing it when I moved up to Edmonton for my second year of university in late August. We stopped by Airdrie to take a break and I was listening to the countdown on one of the radio stations. The deejay said it was the first time in history there were two songs in the top 20 that started, “I Don’t Want to…” One was “I Don’t Want to Live Without Your Love” by Chicago, the other was, “I Don’t Wan’t to go on With You Like That” by Elton John. Chicago’s single would peak at number three, setting the stage for something bigger. Late in 1988, Chicago released “Look Away”. It moved up the charts, peaking at number one for two weeks in December. It also ended up the number one song in the Billboard Hot 100 year-end rankings for 1989. 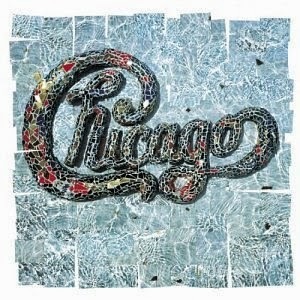 Chicago ended the decade with a compilation called, “Greatest Hits: 1982-1989”. It had some original material, including a slightly remixed version of, “What Kind of Man Would I Be”. The single peaked in late 1989 at number five on the Billboard Hot 100, after first appearing on “Chicago 19” a year earlier. Overall, it was probably a saw off whether Peter Cetera or Chicago without him was more successful. Cetera had two number-one singles right off the bat, but Chicago ended up with the number one song of an entire year, and three other top five hits. But success, if it really matters, goes beyond that. The truth is, Chicago was a different band with a different sound after Peter Cetera left. It was somewhat similar, due to the influence of producer David Foster, but that even ended after “Chicago 18”. They still put out great songs that obviously resonated with listeners.